I’ve been talking about scuba diving for the entirety of Bucket List Publications. It was on my first bucket list when I created the site and it remained on the list year after year. The fear consumed me and took over. Failure after failure, I thought I’d never actually accomplish that one check mark. I tried and had a panic attack. I tried again and still couldn’t get over it. Well, hell yes! 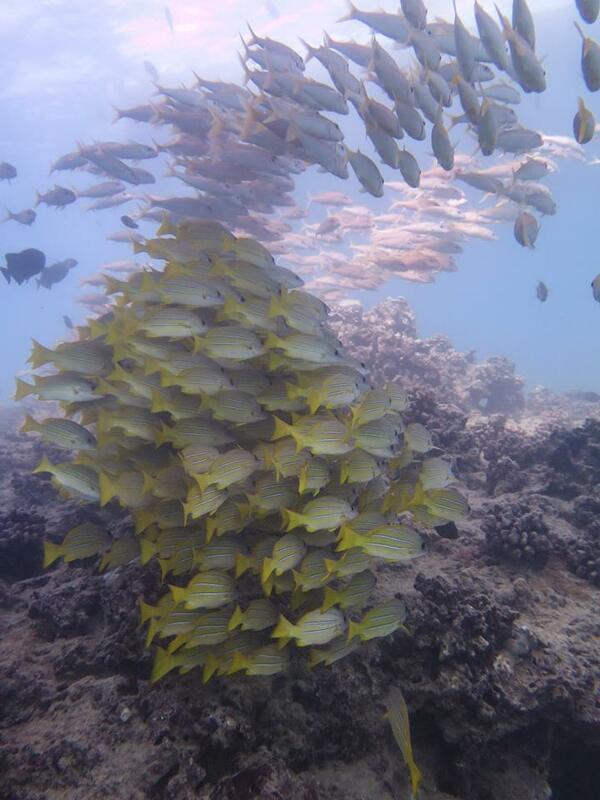 I finally went scuba diving and it was in one of the most beautiful places in the world – Hawaii. Thanks to Aqua Zone Scuba Diving and Snorkeling Center, I can finally say I crossed scuba diving off my list for the first time and I can guarantee it won’t be the last. I tried SNUBA a few times and I did the cage dive with great white sharks off the coast of Mexico, but I still didn’t get my PADI certification or try actual scuba diving. 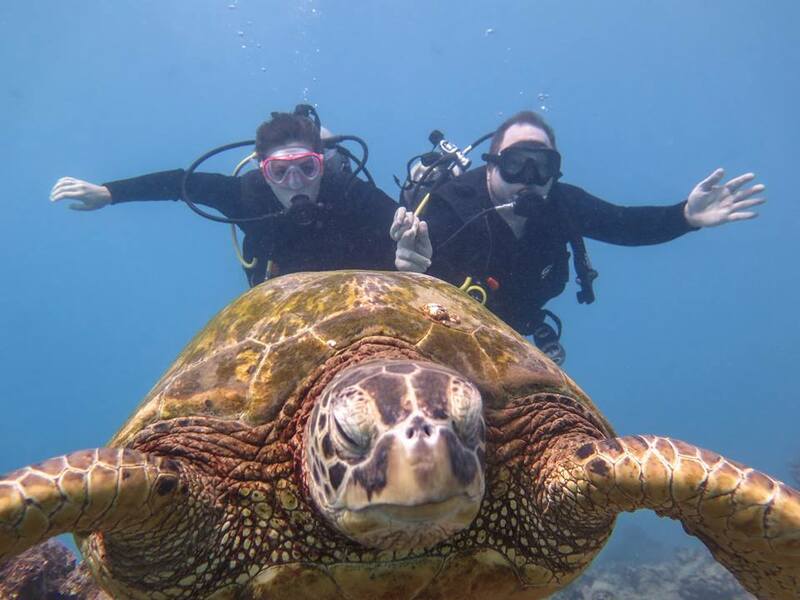 While planning for a trip to Oahu, I found Aqua Zone Scuba Diving & Snorkeling Center and noticed on their site that they offer the Sea Turtle Scuba Adventure for beginners and certified divers. They provide a free pool session prior to the dive to get you comfortable breathing underwater and certification isn’t required. With over 30 years of experience and excellent reviews, I was elated to give them a try! I could actually dive without certification yet still get all the underwater benefits. It sounded like the greatest adventure and it was even better than I anticipated. We arrived onsite for pool training at 8 am. The instructor was chill and gave us a great rundown of what to do and expect. He gave us a lot of safety instructions that you’d receive if you were doing your PADI certification but we didn’t need to take days to get certified. We got in the pool for our instruction and had to pass a small test before heading to the ocean. It wasn’t complicated but it gave me more confidence with the scuba gear. With just a little more education, I already felt the difference when going under water. My breathing had slowed and I felt like I could manage the depth of the ocean without panic. It was only a short boat ride to get to the dive spot. I was nervous while getting ready but none of the previous sings of overreacting were setting in. My wet suit didn’t feel overly tight or like it was hindering my breathing. My mask was clear and my weights weren’t too tight. I’m sure all of the gear had been the exact same with my other experiences but I was calmer, which made it feel like something entirely different. A line was provided for us to descend to the ocean floor. I slowly put one hand over the other as I went down, plugging my nose and blowing out on the way down. I took my time and I was the last one down but I felt confident. Within the first five minutes of getting in the ocean, I felt comfortable. All of my previous concerns and breathing issues were washed away with the first turtle sighting. I was so excited about calming swimming with the turtles, that everything else seemed to fade away. 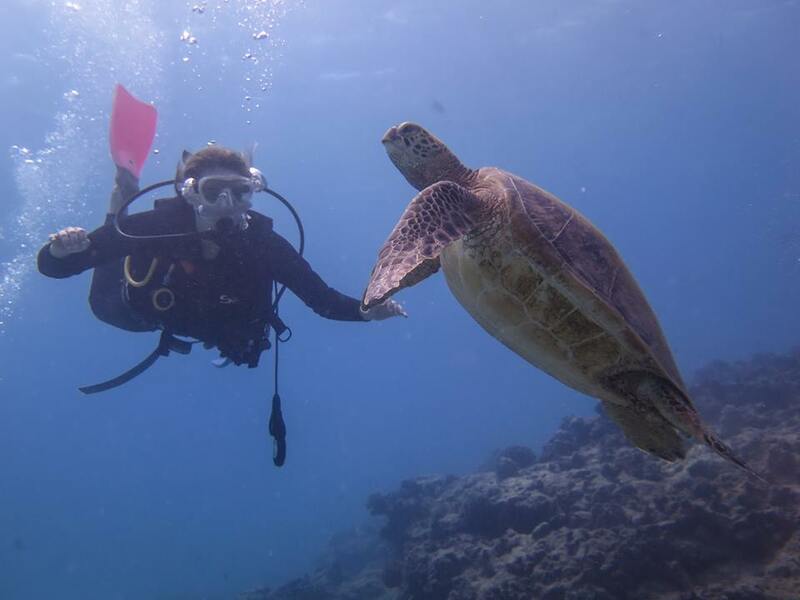 We saw dozens of turtles during our dive and even more tropical fish, many endemic to Hawaii. I wasn’t expecting it to be so peaceful or to have such intimate encounters with the turtles. The turtles weren’t even slightly annoyed or bothered by sharing their home with us. They swam around us as if we had always been a part of their day. One guy seemed to want to swim with me for a bit. He stayed at my side while I explored the area and never swam off for several minutes. It was pure magic. My list is constantly changing and evolving but water adventures have always been the greatest experiences of my life. Now, an entirely new world is at my doorstep. I’ll forever be grateful to Aqua Zone Scuba Diving and Snorkeling Center for opening my eyes to the possibilities. Aqua Zone Scuba Diving and Snorkeling Center is fairly priced, the pool session is free, they dive in one of the most beautiful spots on the island, the instructors are calm and reassuring and respect the underwater world, and they have excellent ratings on TripAdvisor. They were the perfect choice for my first scuba diving experience. Now, where to next? 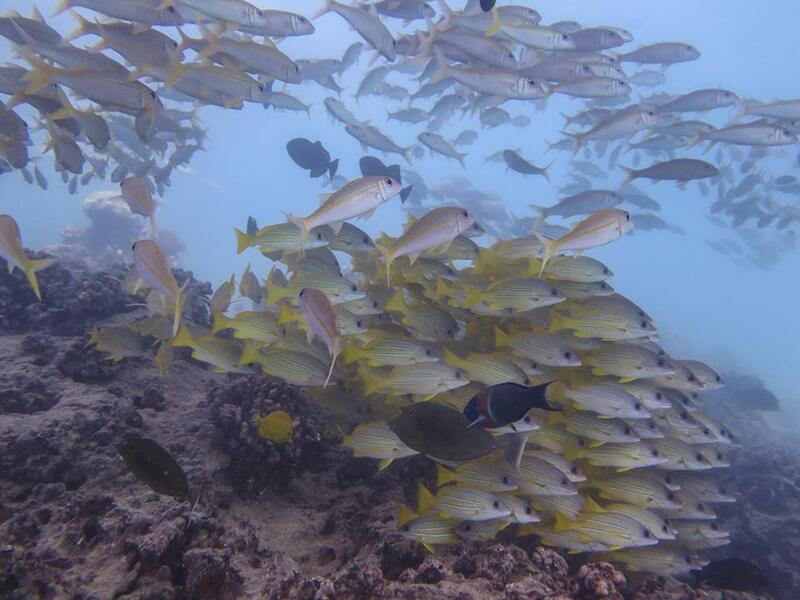 This entry was posted in 2016 Bucket List, Adventure, Hawaii, Travel, USA and tagged bucketlist, diving, Hawaii, Oahu, scuba, travel by lesleycarter. Bookmark the permalink. Looks like another amazing experience! Haven’t been scuba diving yet but love to snorkel and swim with the turtles. It’s so much fun watching them swim gracefully along. That’s a pretty incredible school of fish as well. Can’t wait to see what other underwater adventures you will get up to! It was the first time I swam with turtles. I was shocked that they were so chill. I can’t wait to get back in with them again soon. I’m addicted. So happy for you, Lesley. That has been a hard one and to be able to be calm is Great!!! Love the pictures and the turtles! Thank you! It took years but I’m already planning my next dive. I think the new year will be filled with water adventures. Great to hear and sounds like a good idea. Looking forward to the new year! Congratulations on beating the fear. What an awesome testament to perseverance. Awesome photos. Thank you! They sure have created lasting memories. Congratulation Lesley. Then you should try various diving spots here in Indonesia if you ever settle on coming here. Indonesia has been on my list for a while now. It’s even higher now that I’m excited to dive. Hawaii!! First Dive and excellent photos. Congrats, Lesley. Getting in is always my most panicked time. Once I see the underwater life, I forget all about my fears. I’m addicted. I wish I could dive daily. 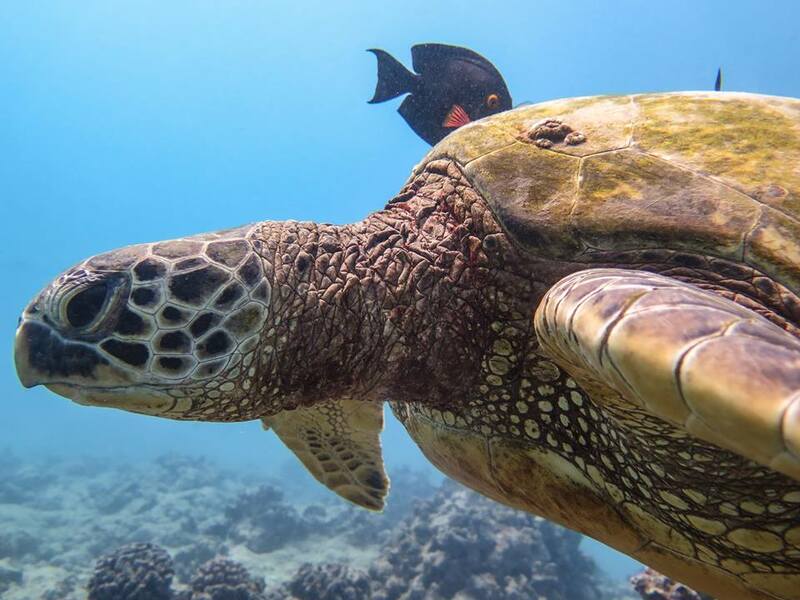 Love sea turtles … congrats on finding them while discovering the world beneath the waves! awwww I love this!!!! Beautiful! Congrats!!! And turtles!!! even better!!!! Beautiful. I love sea turtles. As an aside, can you say humuhumunukunukuapuaa? YAY!! And you picked one of the best places in the world to start scuba diving! You’ll get spoiled in Hawaii, though. Not everywhere has that kind of visibility! Congratulations on working through your fears. I know it’s not easy, but I can tell from these beautiful pictures that it was worth it. Maybe when I go scuba diving I should keep an eye out for ones where they provide that pool session. That would help me a lot, too! But the turtles! I bet that was super amazing! Totally worth it! I’m addicted now and already planning my next dive. 🙂 Send me pictures when you get in. This made me giggle – Woot! ::fist pump:: ::confetti toss:: Congratulations, Lesley! Hip hip hooray! Way to go, finally diving!! So excited for you!!! This just looks amazing! What a thing to cross off your bucket list! Congrats! 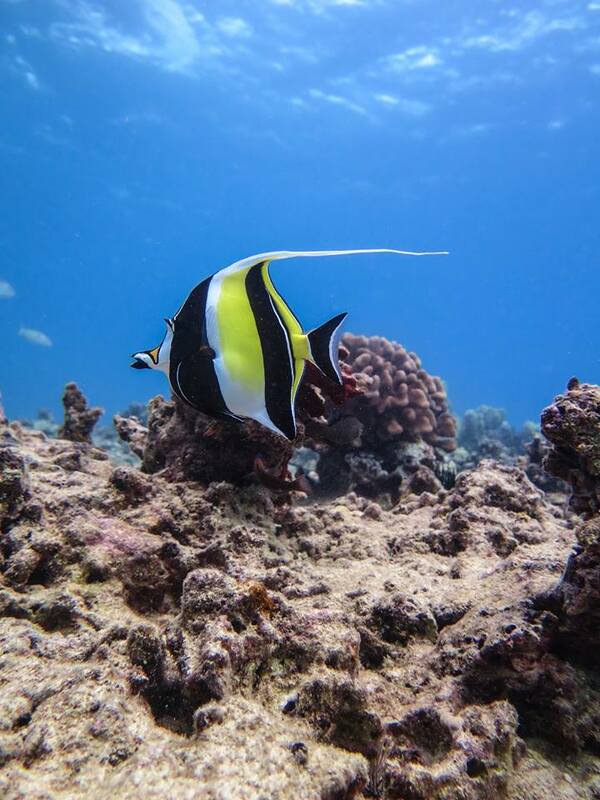 Your underwater photos are great.